Lamy Dark Lilac (LDL) was the Special Edition Lamy fountain Pen's accompanying ink for 2016. 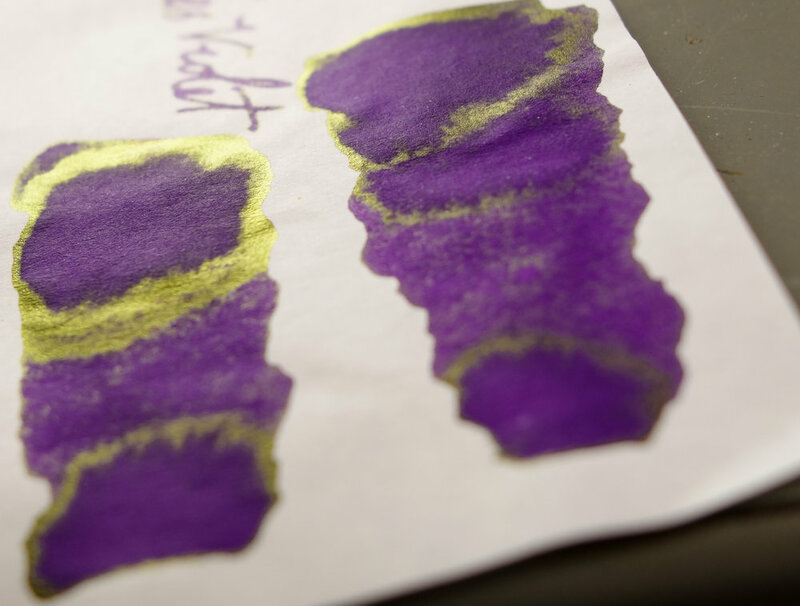 It's an ink that became very popular very quickly and for good reason; it's a beautiful deep dark magenta-leaning purple with bright gold sheen and great shading. Unfortunately it was a limited run and it is now very difficult to find the ink new (the pen seems, as of this writing, to be easier to find). I saw the ink going for around US$60 on eBay not too long ago. 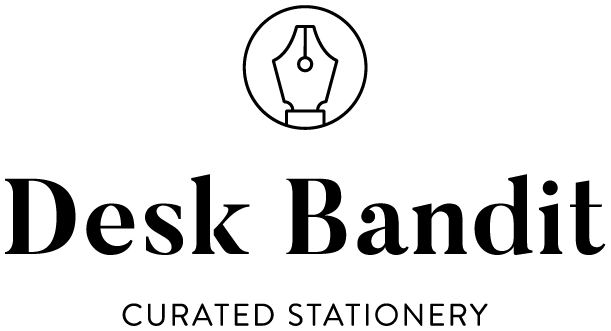 This is a pretty high price so people have been understandably looking for an alternative to the ink. 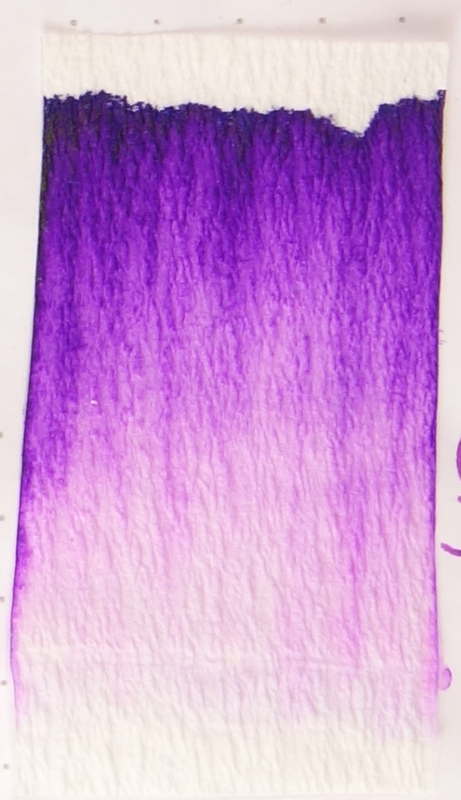 I've been buying purple inks (in bottle and sample form) for the purpose of finding an ink that close to Lamy Dark Lilac. Unfortunately there is no dupe; I've found no ink that's a straight copy. There are, however, some alternatives that depending on your preference might be good enough. Comparison on Rhodia. 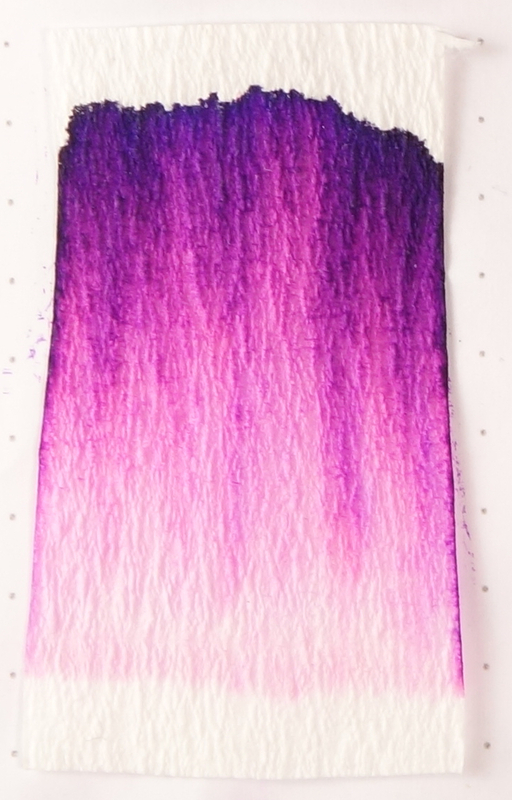 The darker half of the swatch is a second layer of the ink. First off it's worth noting that Diamine Imperial Purple and Akkerman #13 Simplisties Violet are, in my opinion, the exact same ink. They perform exactly the same, the sheen the same, they look the same, they shade the same and even the chromatography is the same! The main difference between Diamine Imperial Purple and LDL is that the shading is that LDL shades darker than Diamine Imperial Purple (and thus Akkerman #13) and is generally darker than overall than Imperial Purple. Both Imperial Purple and LDL shade a similar amount but LDL is probably lightly more. 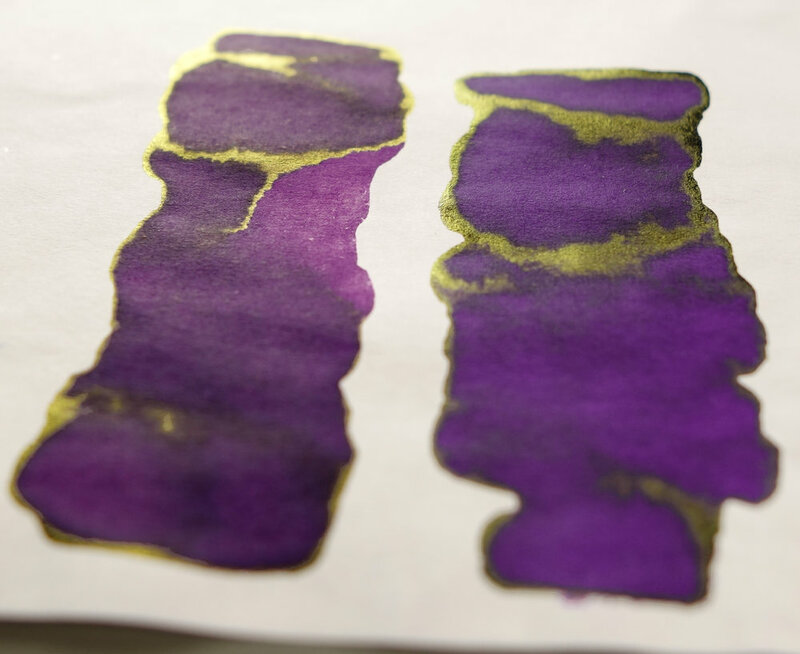 Imperial Purple also has the same nice gold sheen that LDL has but the sheen isn't a prevalent. The colour is fairly similar but is a little leaning more blue than LDL. When Cross Violet first came out many were hoping that it was be a good dupe of LDL and while it is an amazing ink, a dupe it isn't. Cross Violet Shades much less than LDL and is also universally lighter. It also sheen green rather than gold. 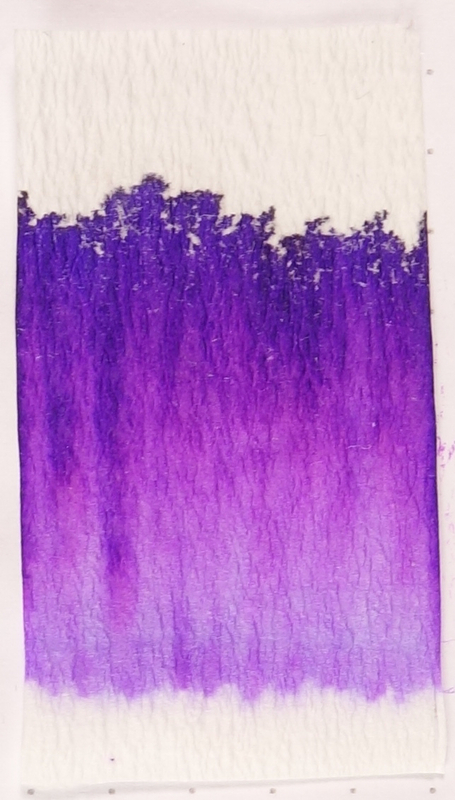 Diamine Pansy is the closest ink to LDL. It's a little bluer than LDL but unlike other potential alternatives it shades nice and dark like LDL does but doesn't shade as much and is generally as dark as LDL. It also has the gold sheen of LDL but not as extreme and not quite as yellow. 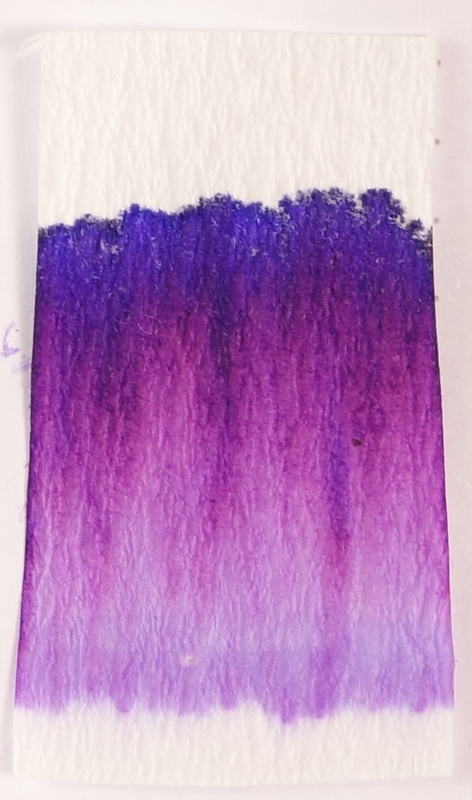 Looking at the chromatography, the pink in Pansy separates from the blue a little much like LDL but unlike Diamine Imperial Purple/Akkerman #13. Bungubox L'Amant is considerably pinker and lacks a lot of blue compared to LDL. The Sheen is much greener compared to LDL. This is an amazing ink, but I don't believe it's should be considered an alternative. I've heard suggestions from people that Montblanc Lavender Purple as well as some De Atramentis Purples might work well as a LDL alternative. This should hopefully put to rest those suggestions. While they are all good inks, they are not similar to LDL and should not be considered an alternative. 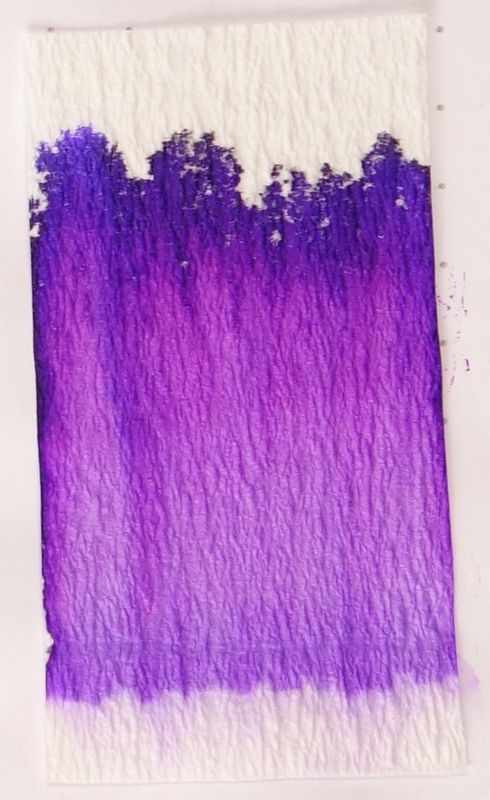 De Atramentis Violets and Diamine Majestic Purple are considerably lacking in shading and red compared to LDL. De Atramentis Aubergine is too red and lacking in vibrancy. Noodler's Purple is too blue and Montblanc Lavender Purple is too red. I've included and extended sheet of comparisons below. This sheet doesn't have writing in the inks and jut the swatches. Additional inks are Baytate Concord Grape, Pelikan Edelstein Amethyst, and De Atramentis Magenta Violet (which is the the non scented version of De Atramentis Violets above). Ultimately it depends on which compromise you can accept. In my opinion, Diamine Imperial Purple/Akkerman Simplisties Violet #13 and Diamine Pansy are the closest alternatives to Lamy Dark Lilac. If you don't mind the ink to be lighter then Diamine Imperial Purple might be the better alternative but if you don't mind the colour to be slightly off then maybe Diamine Pansy would be the better alternative. 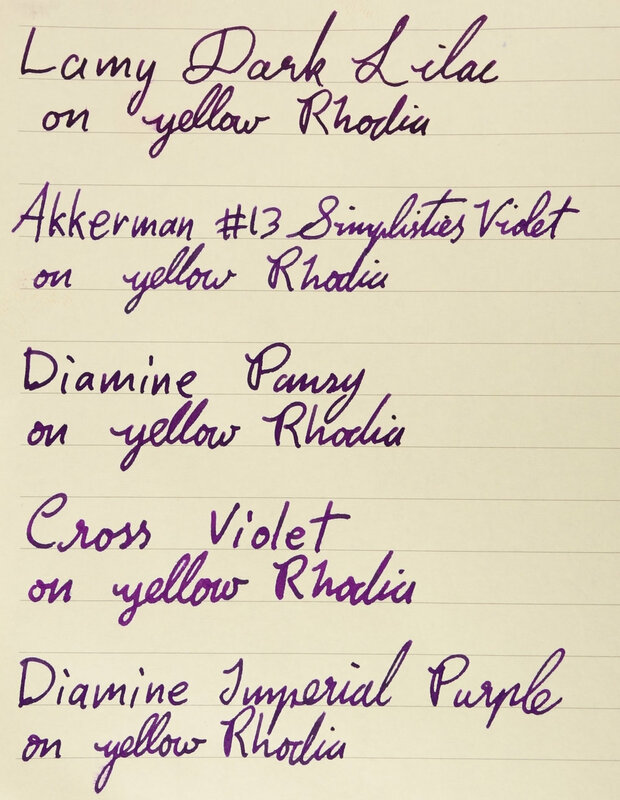 For me I think Diamine Pansy is closer to Lamy Dark Lilac for the elements of Lamy Dark Lilac that I prefer. To me the darkness of LDL is an important characteristic so I value that more than the colour. Which do you think is the better alternative and why? You can follow @macchiato_man on t=Twitter for blog updates.